This is Juggles the Clown (Peter Cincotta) in 1984. 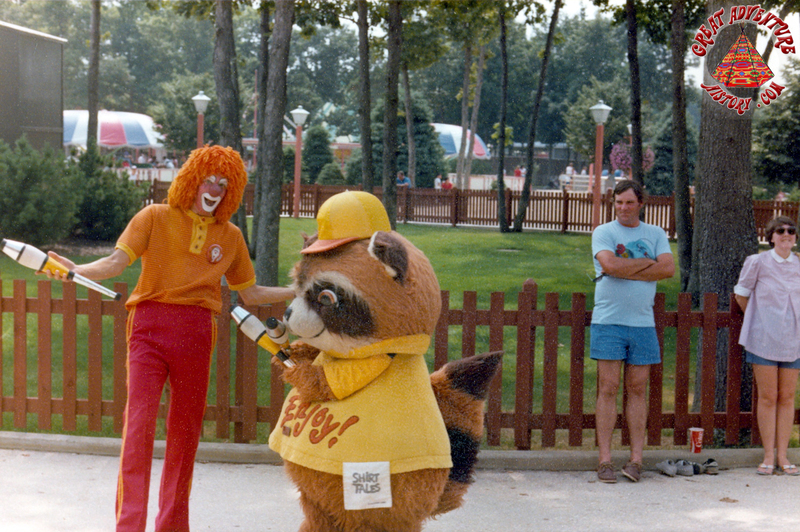 Juggles performed at Great Adventure from 1981 to 1985. He is wearing a name tag pin with a caricature of Juggles the Clown!